A map of the Iliac Bay region showing the names of the various regions. 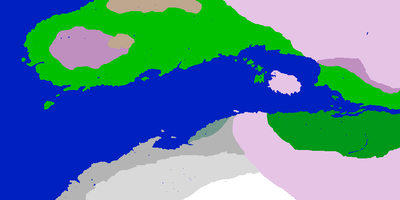 A political map of the Iliac Bay. 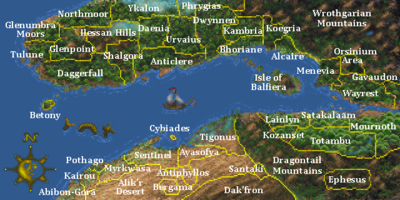 A map of Iliac Bay showing the Daggerfall region codes. 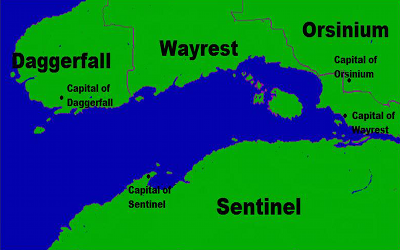 This concept map shows Daggerfall regions at the end of game. 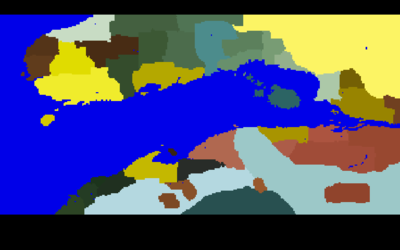 A map of Iliac Bay showing the Daggerfall climate regions using a color code. 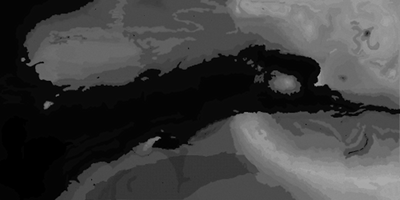 A digitally enhanced heightmap of the Iliac Bay. 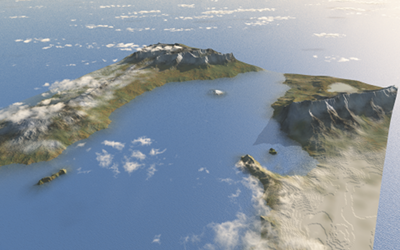 A concept map showing the Iliac Bay in 3D relief. Original from the DaggerXL project. This page was last modified on 14 August 2018, at 01:06.